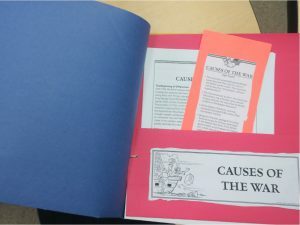 For the individual units, each student will create a “pocket” containing an overview page, Fast Facts, and worksheets or activity pages ranging from a map of the thirteen colonies to a pop-up reflecting the famous painting of George Washington and his men in a row boat crossing the Delaware before the battle of Trenton. 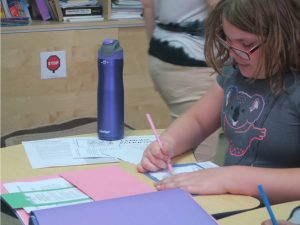 The “pockets” for each unit are bound together to create a book collecting each student’s efforts throughout their study of the American Revolution. 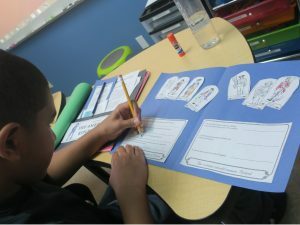 The materials compiled by the students serve as powerful reminders of classroom discussions about the American Revolution. 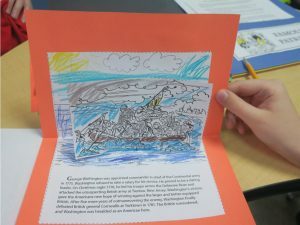 For example, when creating the pop-up of Washington crossing the Delaware, students noted the ice in the water, the darkness, and how the men in the boat were huddled together; and talked about why Washington chose the particular day and time for their attack. History is so much more than dates and battles – it’s about people. 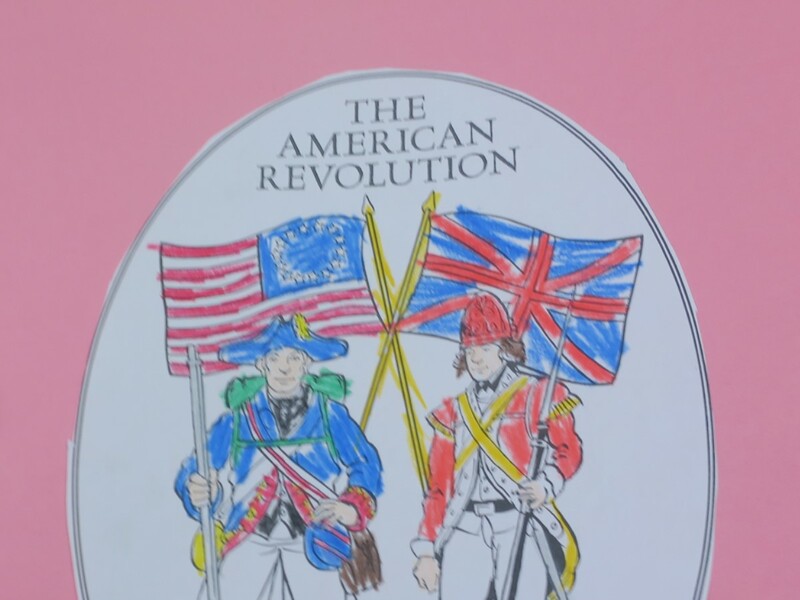 And we are very grateful to Mrs. Naveh for helping history come alive for LGS students!